Sammy Lee, the first Asian American man to earn an Olympic medal, dies at 96. Sammy Lee fulfilled a vow to his father, winning gold and bronze medals at the 1948 Summer Games in London. He went on to win another Olympic gold four years later in Helsinki. In October, 92-year-old Pasadena resident Calvin Tajima was describing to The Rafu how as a kid, he used to swim in the Brookside Park pool on what was known in those pre-World War II times as “Minority Day.” Non-whites were allowed one day per week in the pool, after which the water was drained and replaced with a fresh fill for the white patrons. One of Tajima’s fellow swimmers went on the combat racial prejudice and become a double Olympic gold medalist, as well as a doctor and a U.S. Army medical officer. Dr. Sammy Lee, the first Asian American male to win an Olympic medal and the only American to win back-to-back gold in platform diving, passed away on Dec. 2 in Newport Beach at age 96, succumbing to complications from pneumonia. Lee was born in Fresno in 1920, to parents who followed tradition and were married in Korea while they were still children. After moving to Los Angeles, he began his career in the water while attending Franklin High School in Highland Park. Without the benefit of an available pool for practice, he learned to do somersaults into a sand pit in his coach’s backyard. Having seen how the American divers essentially swept the medals at the 1932 Summer Games in Los Angeles, he made a promise to his father that someday, he would stand on the Olympic podium. After graduating high school in 1939, Lee attended nearby Occidental College, then put his diving career on hold to pursue his medical degree at USC. He won Amateur Athletic Union diving championships in 1942 and 1946, but the 1940 and 1944 Olympics were cancelled due to the war. 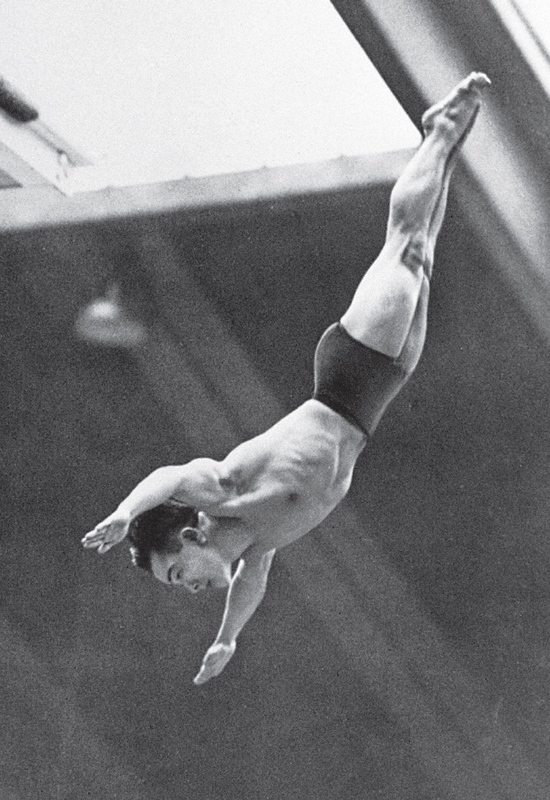 At the 1948 Summer Games in London, the 5-foot-1 Lee fulfilled his promised to his father, winning a bronze and a gold medal in platform diving. He was 32 at the time, the oldest diver ever to win an Olympic title. Lee was also USC’s oldest surviving Olympian. Four years later, he won another gold at the Games in Helsinki. By that time, he had a wife, Rosalind, and an established military career, one that saw him serve in the conflict that ravaged his parents’ homeland. After the Korean War, Lee faced another battle, this time at home. In trying to buy a home in Orange County, the couple was repeatedly denied access because of their race. “I’m sorry, Doctor, but I’d lose my job for selling to a non-white,” he remembered realtors telling him. Lee’s status as a veteran and an Olympic champion afforded him the opportunity to effect real change. In a meeting with President Dwight Eisenhower at the White House, he mentioned his trouble searching for a home. Housing discrimination was illegal, yet remained standard practice in many areas of the country. Once word got out that a national hero was the victim of housing prejudice, help came from all over. Vice President Richard Nixon, media outlets, the mayor of Anaheim and others rallied behind the Lees, who eventually settled in Garden Grove, to the cheers of a welcoming party upon their moving in. After his competition days were finished, he set up his medical practice in Orange County and continued to coach diving. He assisted in helping the 1960 U.S. team, and spotted a young Greg Louganis at the Junior Olympics, helping him to win silver at the 1976 Summer Games in Montreal. “At a time of intolerance, being Korean, he broke down racial barriers, setting an example of what it meant to be an Olympian,” Louganis told The Morning Call. Lee was inducted into the International Swimming Hall of Fame, the Anaheim-Orange County Walk of Stars and the Los Angeles Unified School District High School Sports Hall of Fame. In 2013, the LAUSD named the Dr. Sammy Lee Medical and Health Sciences Magnet Elementary School in his honor, and a square in Koreatown bears his name. 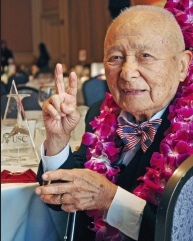 In 2015, he received the Legacy Award from USC’s Asian Pacific Alumni Association. Michelle Park Steel, vice chair of the Orange County Board of Supervisors, released a statement in which she described Lee as an inspiration to the country. “Dr. Lee was a pioneer, a fellow Trojan, and a true friend. He will be greatly missed,” Steel wrote. Lee continued to swim regularly into his 90s. In 2006, he told The Orange County Register that racial prejudice only strengthened his resolve to succeed.